Downloading Sharetivity provides the best way to save pages to sharetivity in just one click..
Sharetivity helps you make a meaningful engagement with your prospects. We use machine learning to discover and filter the most relevant content your prospects would be grateful you shared with them. 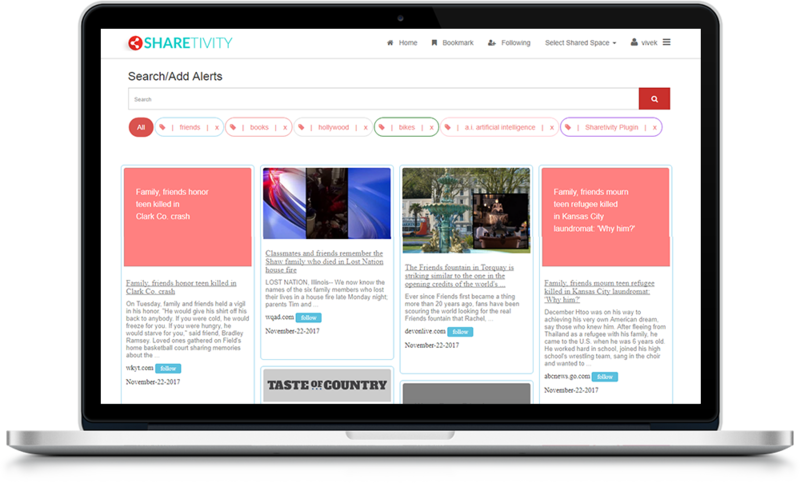 Forward any email from your inbox to me@sharetivity.com.